Manufacturer of a wide range of products which include copper alloy bar, copper alloy rods, beryllium copper rod and copper alloy wire. We introduce ourselves as an eminent manufacturer, exporter and supplier of Copper Alloy Bar. This alloy bar is designed using high quality raw material and advance technology in compliance with the international quality standard using best raw material. This alloy bar is offered in different specifications and can be customized as per the precise needs of clients within promised this frame at highly competitive price. 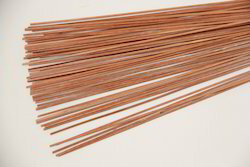 In order to meet variegated requirements of the clients, we present a flawless range of Copper Alloy Rods. Manufactured by our competent experts, who use advanced technology, these rods are severely cross checked prior to dispatch so as to ensure their compliance with industry defined standards and client’s specifications. Moreover, to gain utmost satisfaction, these rods are offered in various sizes and grades at industry leading prices. We are one of the leading supplier & exporter of beryllium products. We obligated to meet the quality standards as per the customer demand. 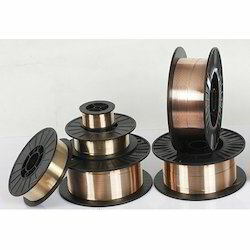 We are a leading manufacturer, exporter and supplier of high quality Copper Alloy Wire. The offered wire is designed using finest quality raw material and modern technology in complete compliance with international quality standards. In order to deliver flawless range to clients, this wire is scrupulously checked on various parameters. Our wire is offered in various specifications as per the requirements of our clients.